Costume and jeans in perfect union. Elaborately crafted, traditional motifs and embroideries give these indigo blue traditional jeans in trendy destroyed look their extraordinary appearance. 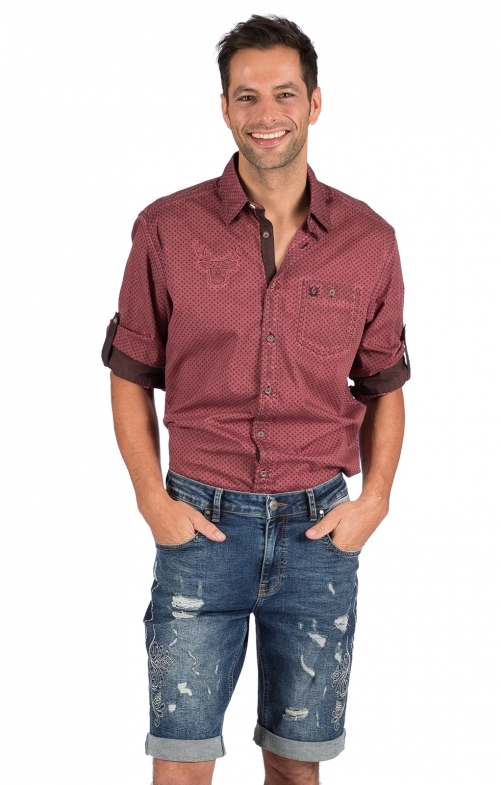 Combine the traditional jeans with a casual shirt or a cheque traditional shirt from our online shop. So you cut a good figure not only at Oktoberfest, but also in the city. A great cut and 2% spandex guarantee the perfect fit and ensure high wearing comfort.